Providing greater flexibility in our 1.5T Mini Excavator hire, BOA Plant have purchased brand new Kubota U17-3α machines. Kubota’s zero-tail swing makes the U17-3α an advanced mini excavator. The 360˚ swivel, excellent stability and smooth control, combined with unmatched power and efficiency, mean there are no limits to what you can accomplish — even in heavy traffic areas and inside buildings. Also joining the BOA Plant fleet of machines is an additional Kubota 0.8 Tonne K008-3 Micro Excavator. 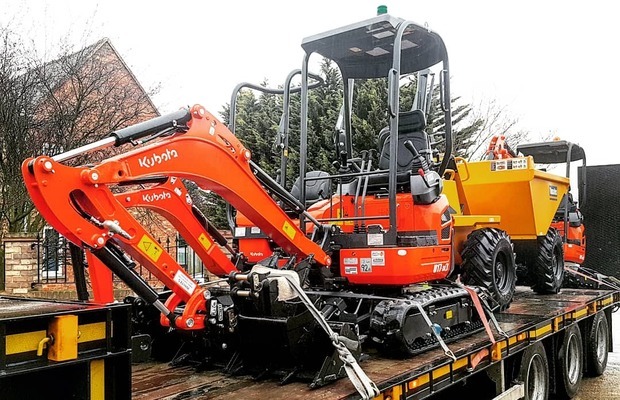 Increasing demand for micro excavators and our customers' satisfaction with our service and reliability has led to increasing our available fleet to ensure we continue to meet the expectations each and every time. To also increase variety on our Dumpers, a brand new Thwaites 3 Tonne Front Tip Hydrostatic Dumper has been accquired; differing from our current 3 Tonne Power Swivel dumpers to allow our customers more choice when hiring with BOA Plant.